Men's Basketball head coach Billy Isaac believes that Faith Academy point guard Ridel Ebreo can lead his offense into the 2016-17 MCAC and NIAC seasons. 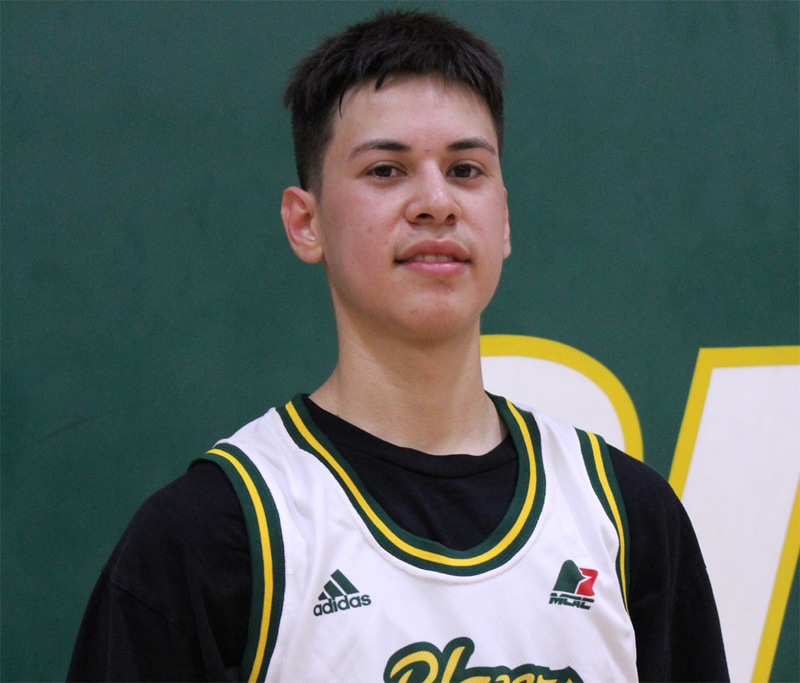 The 5'9 dynamic guard recently committed to the Blazers and his new coach believes that Ebreo possesses many tools that will make him a tremendous asset to the program. "Ridel is a tremendous player in the open floor," said Isaac, who will be entering his fourth year at the helm this season, "I am confident that on many occasions Ridel's play will bring the fans out of their seats this year." Despite falling out of contention for the 2016 Manitoba High School 'AAA' Provincials, Ebreo led Faith Academy to a top-4 ranking and averaged an amazing 28 points per game in his grade 12 season. He went on to be named to the tournament allstar team in Sanford and was selected tournament MVP in Beausejour. "Ridel's work ethic compliments his full court prowess," added Isaac, "because of his willingness to acknowledge holes in his game, he has a solid commitment to continue to improve his play. I expect to see Ridel to be a player who's game continues to improve and develop during his time with us." Ebreo's numbers will help fill the offensive void left when 2016 CMU Male Athlete of the Year, Jon Hayter who recently announced his move into the CIS with the Lakehead Thunderwolves for the 2016-17 OUA season. Hayter averaged 16.9 points per game in his second MCAC season and hopes to build on his success as he drives into his next challenge. Ridel and the Blazers recently released their regular season schedules for the Manitoba Colleges Athletic Conference and the newly joined Northern Intercollegiate Athletic Conference in the US. CMU opens their 2016-17 schedule at home on October 21st when they host the Providence Pilots.